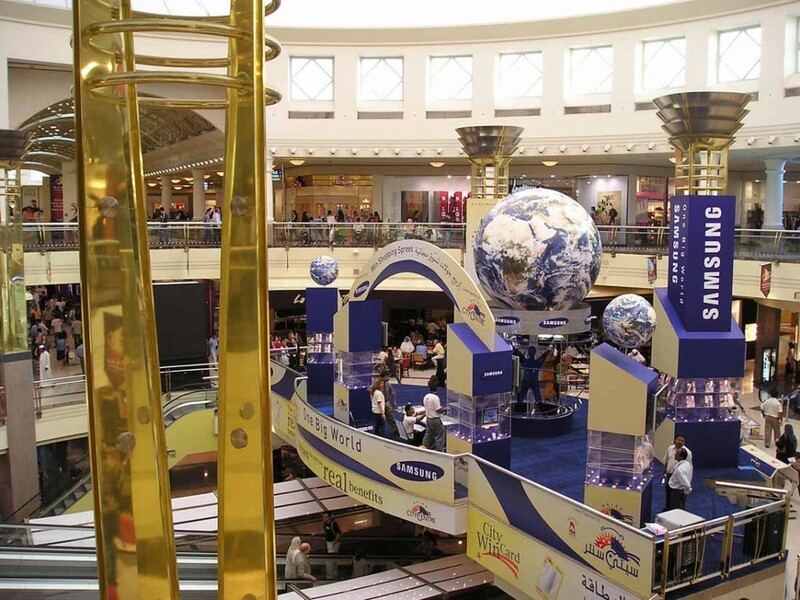 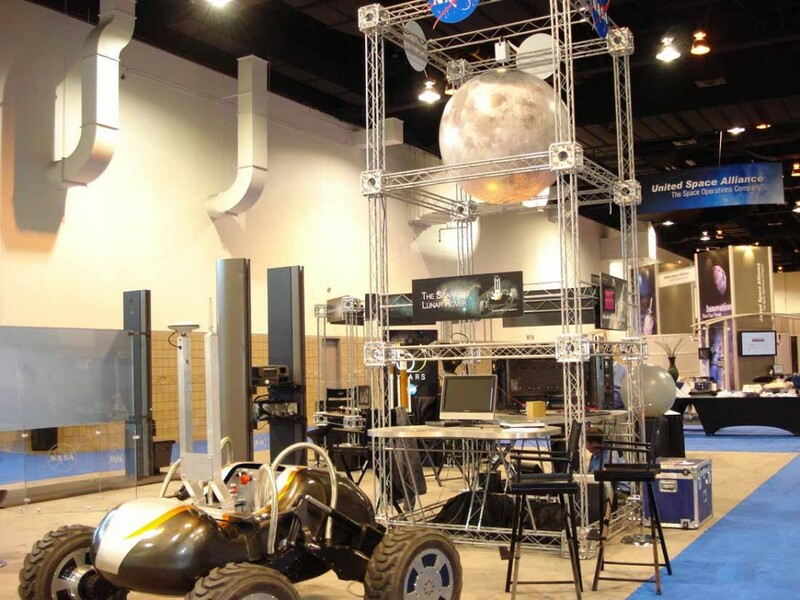 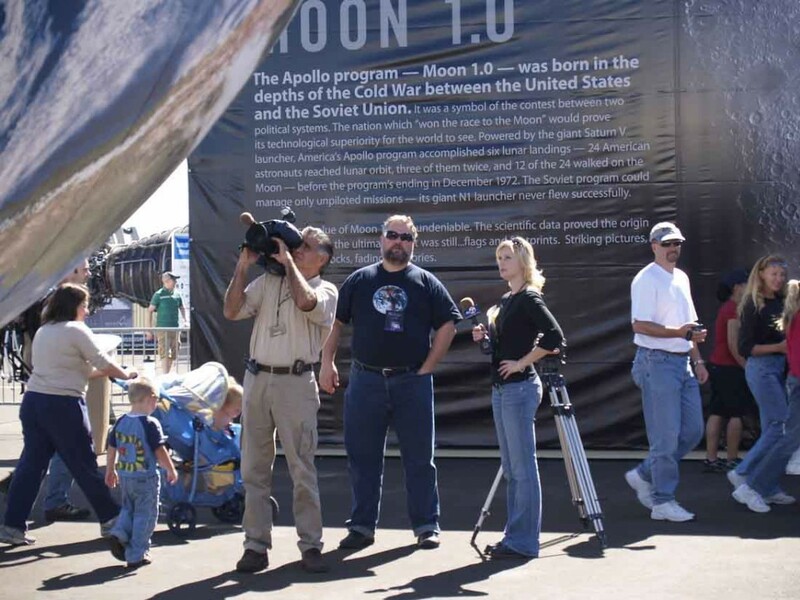 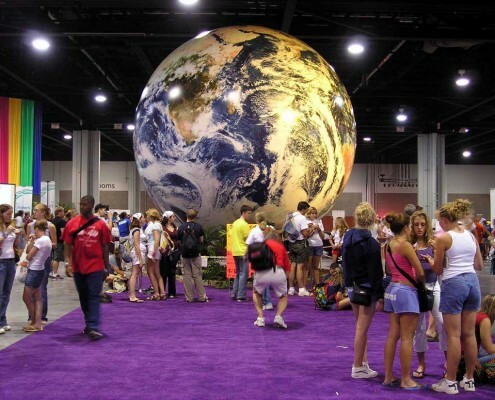 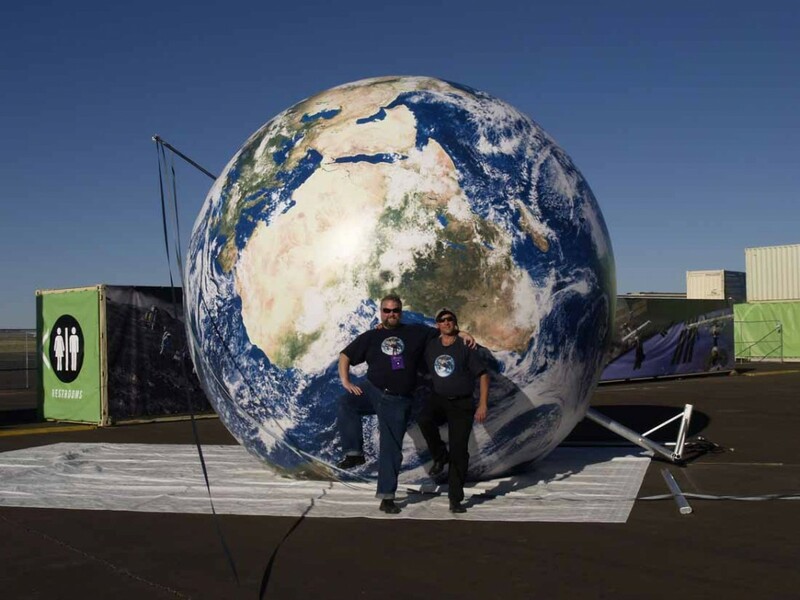 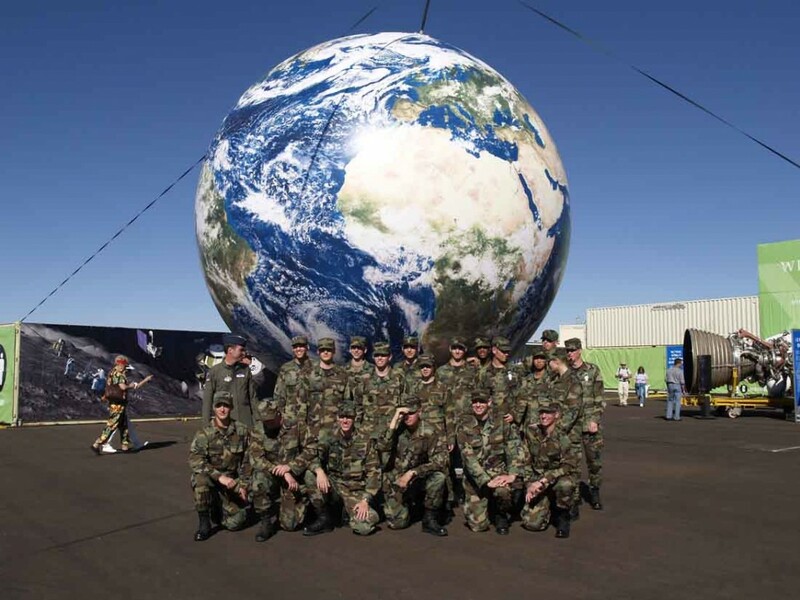 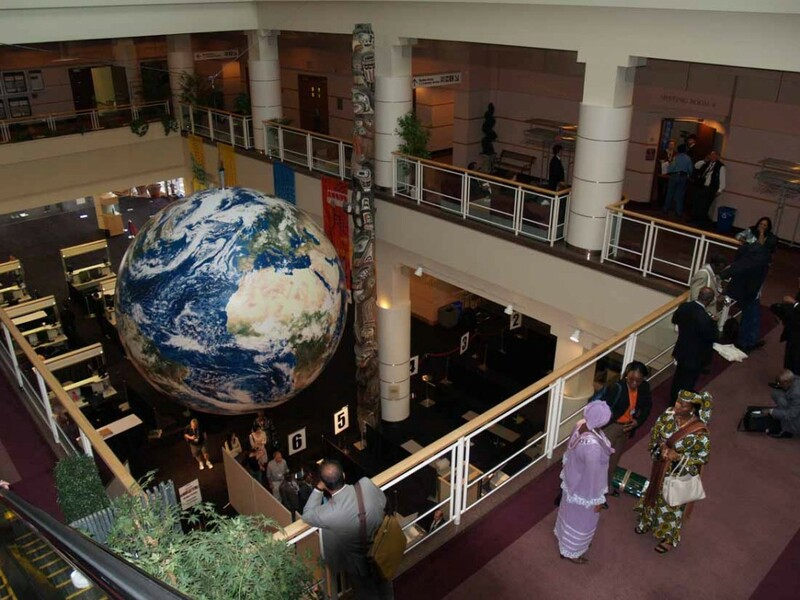 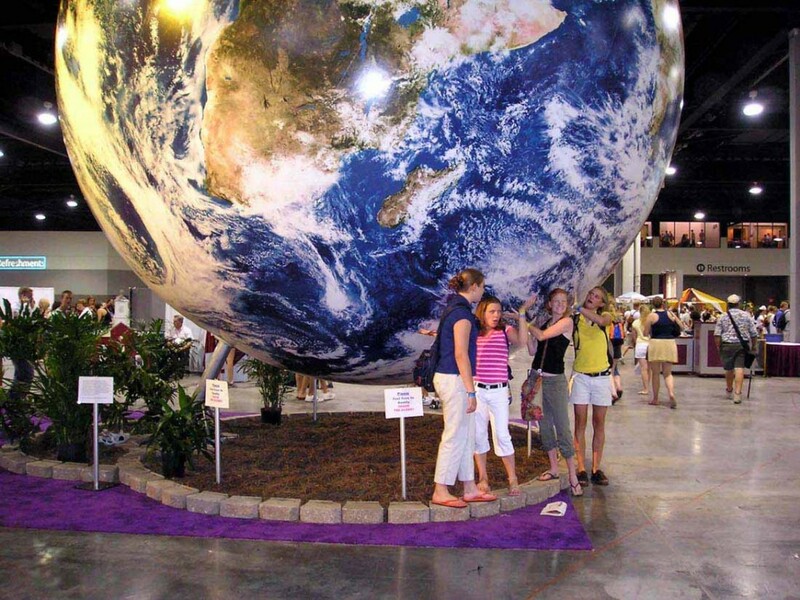 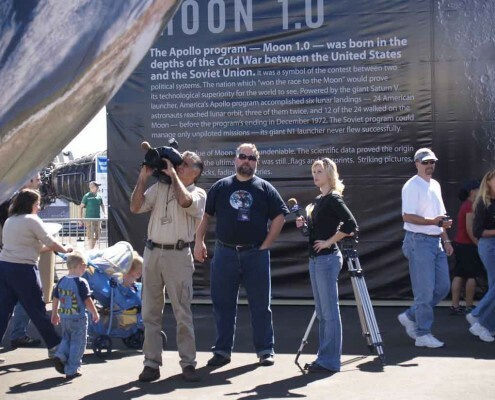 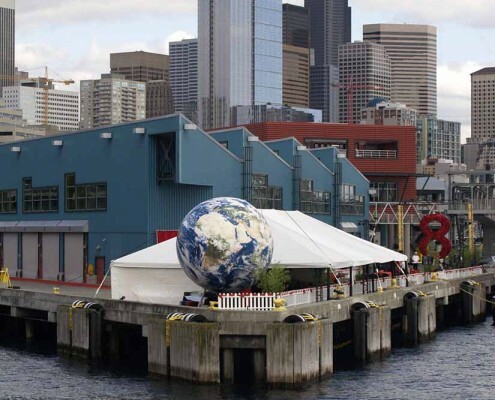 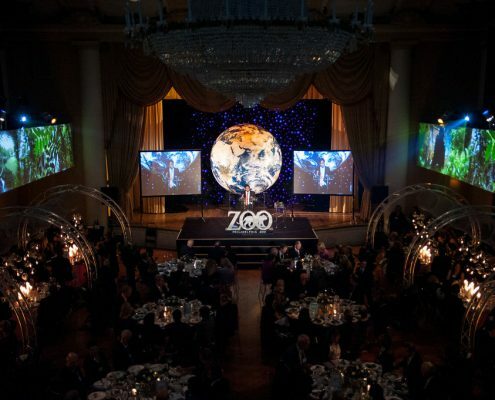 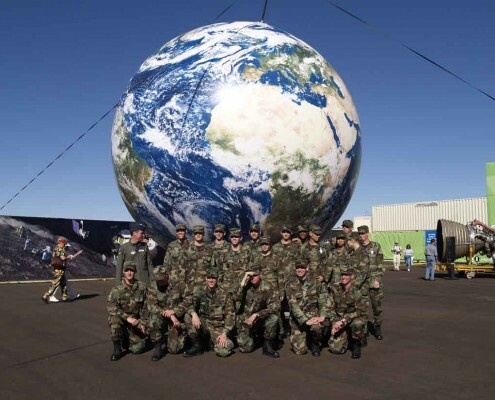 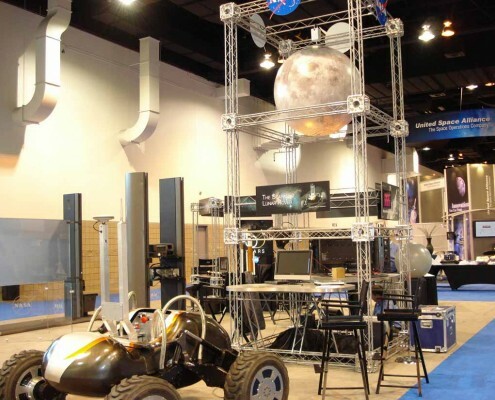 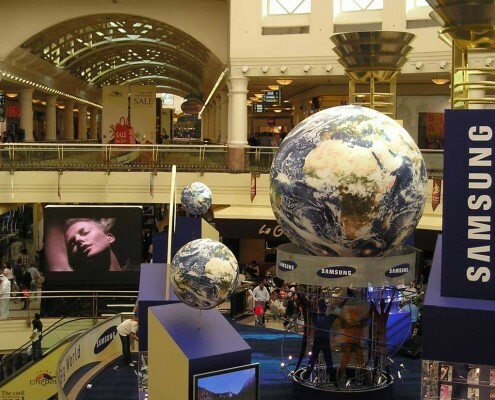 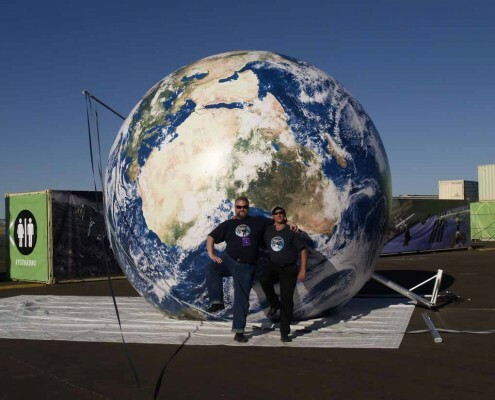 Orbis creates giant EarthBalls for tradeshows and exhibitions. 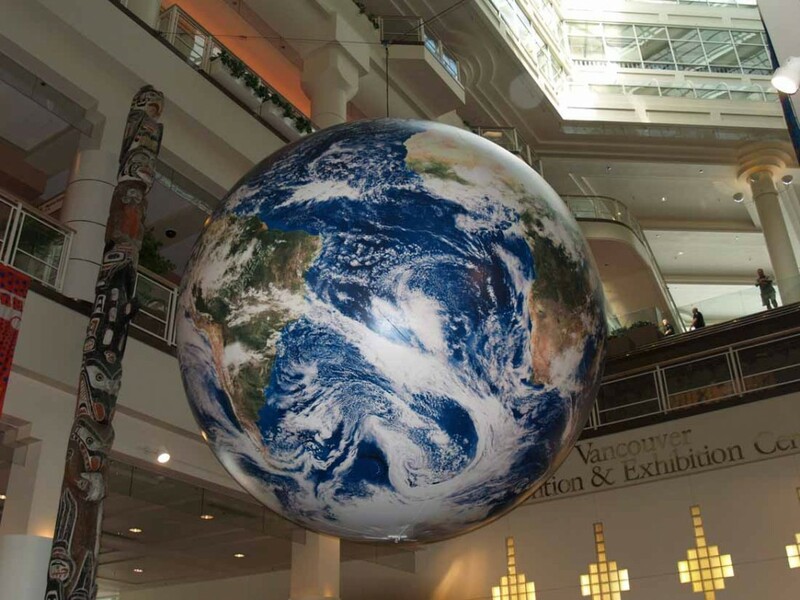 These gorgeous globes are perfect for a permanent display or a temporary, one-time event. 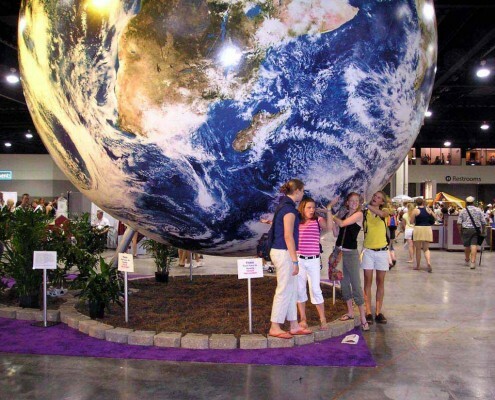 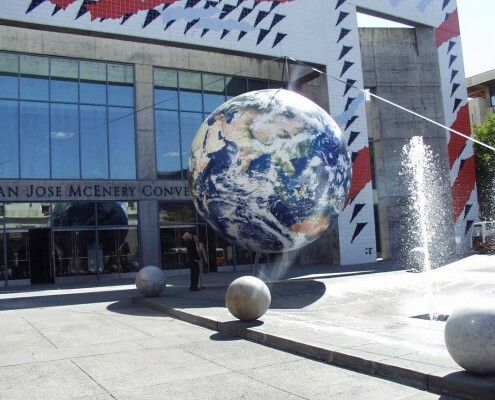 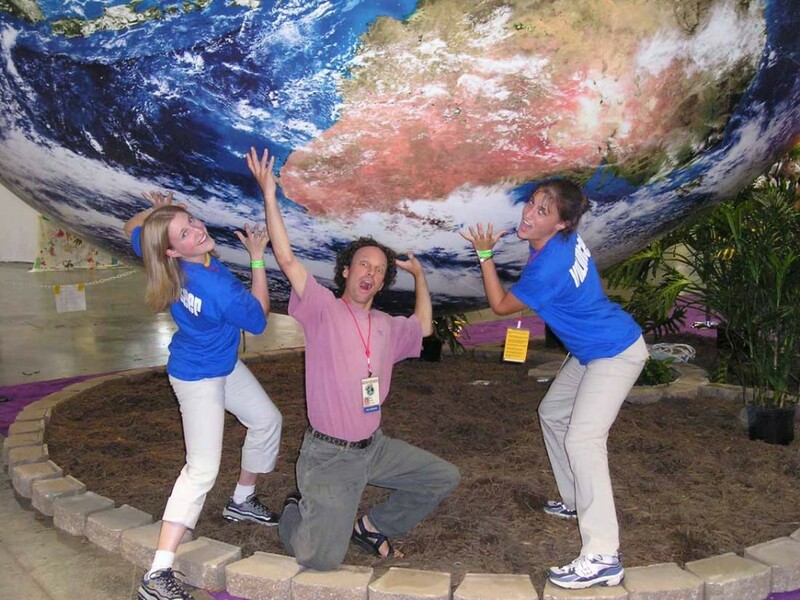 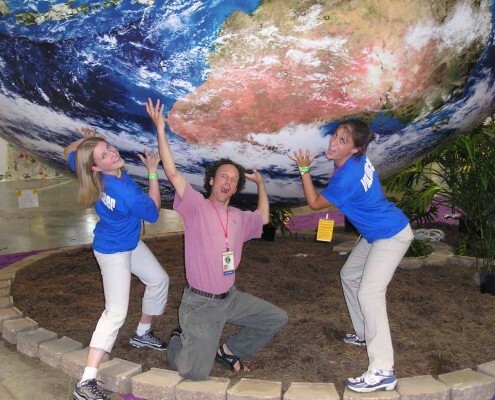 You can attract customers at your next tradeshow, business exhibition or press event with a giant EarthBall. 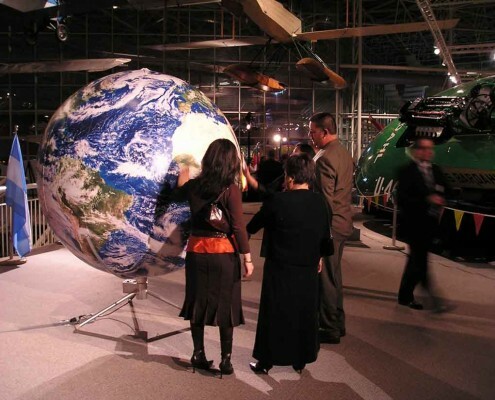 A large revolving globe will let people know you’re internationally positioned or have a global presence. 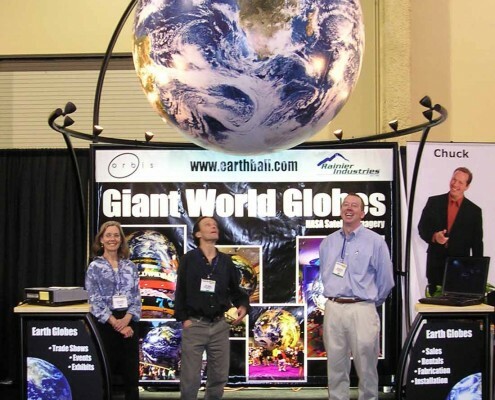 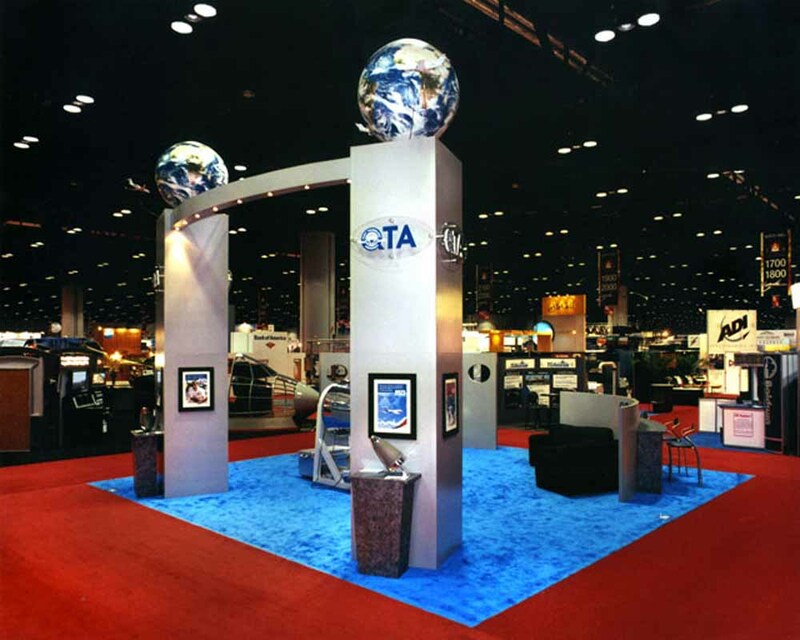 Our giant EarthBall will draw customers to your booth from aisles away. 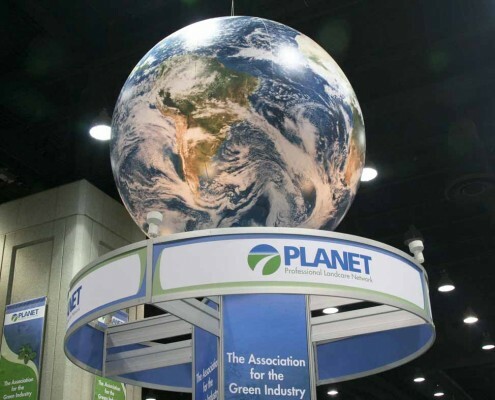 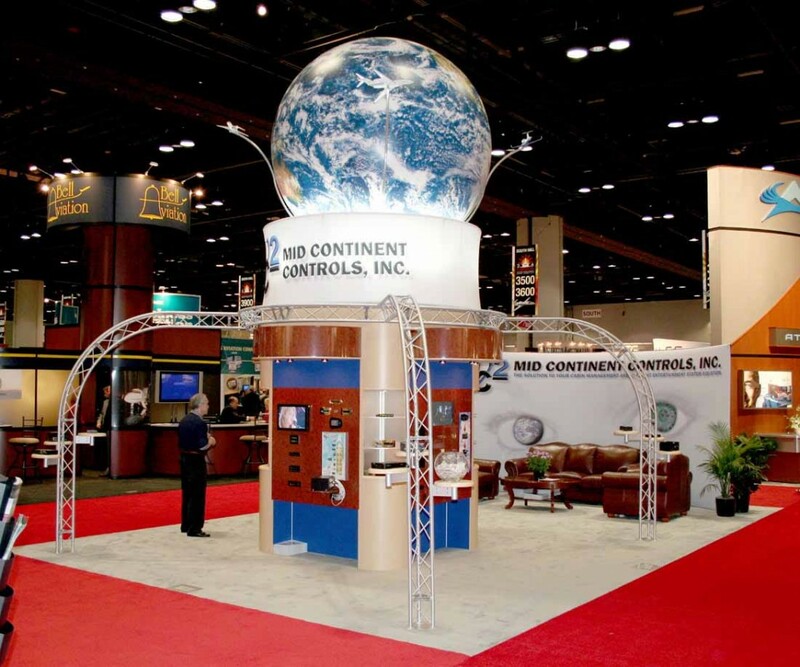 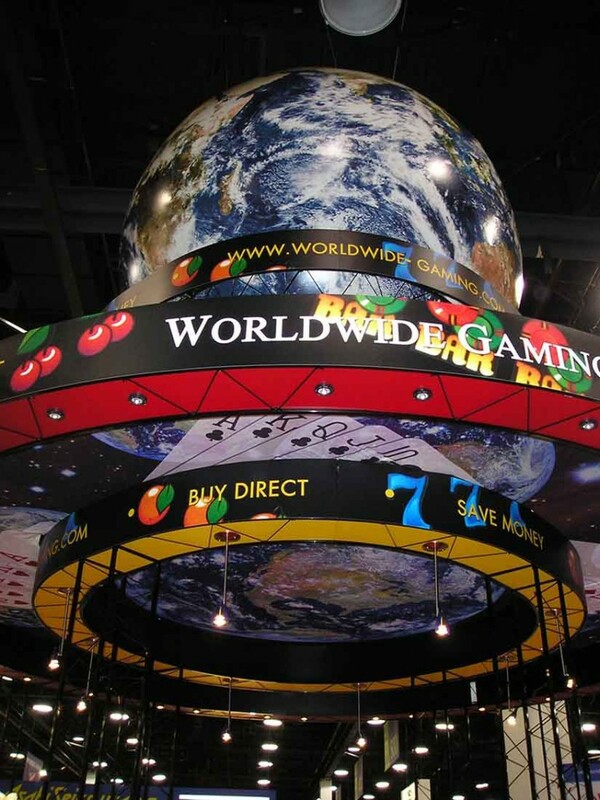 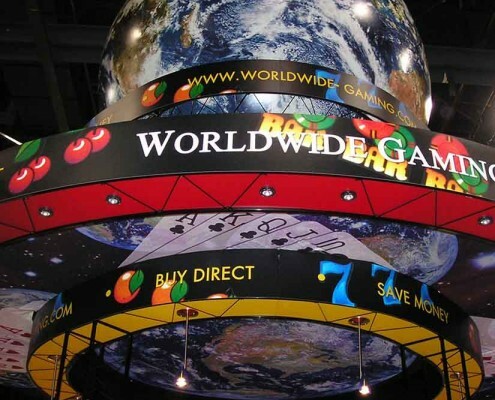 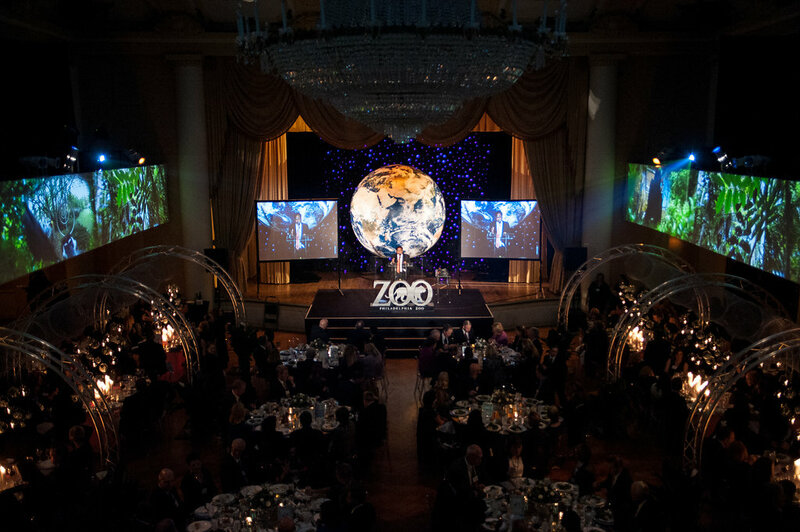 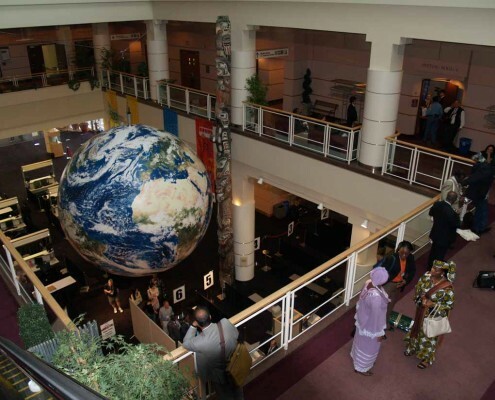 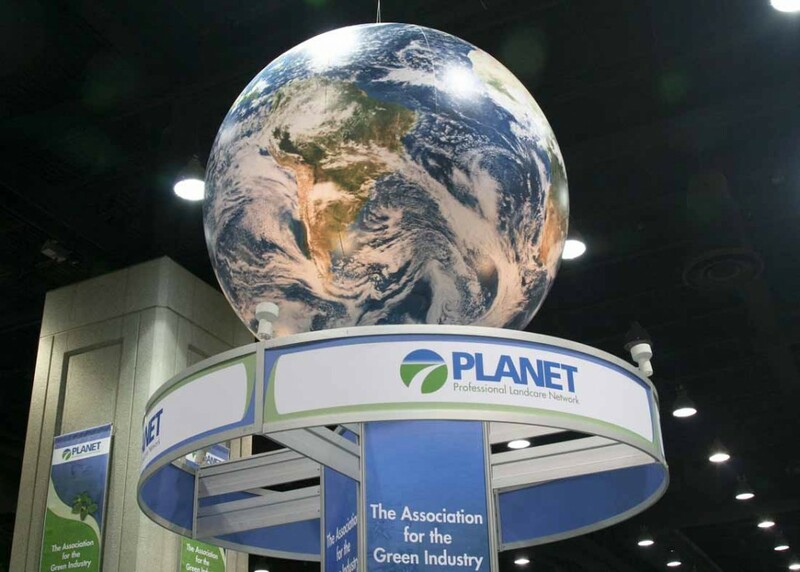 Display your giant globe above or within your exhibit space. 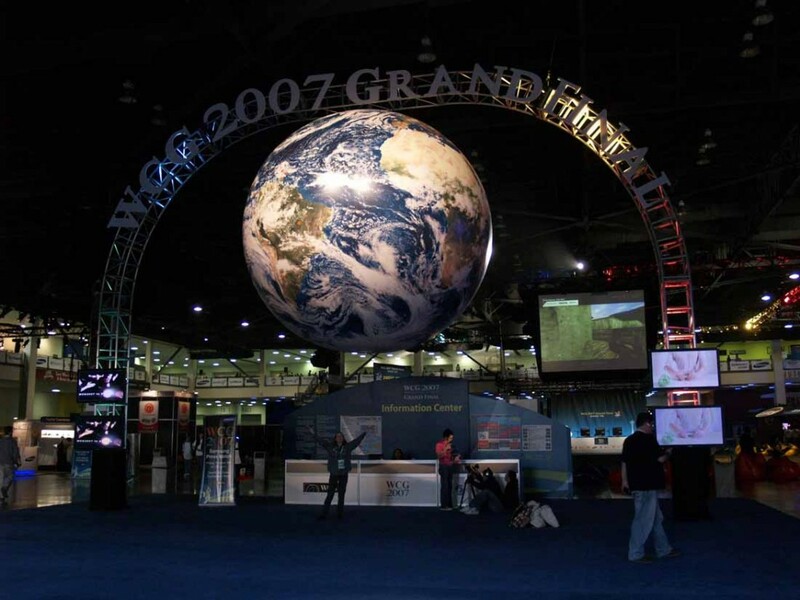 Put it on or next to the stage. 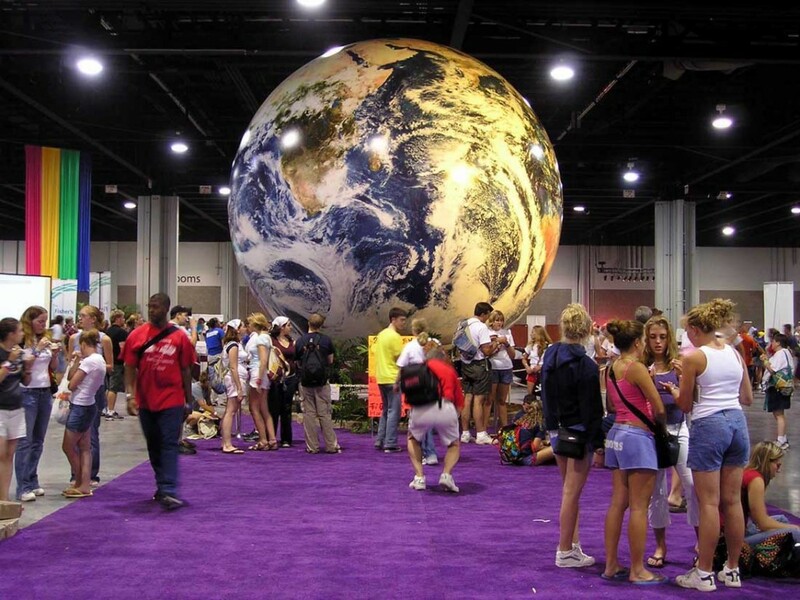 Use it indoors or outside. Your beautiful giant globe will catch and hold every eye. 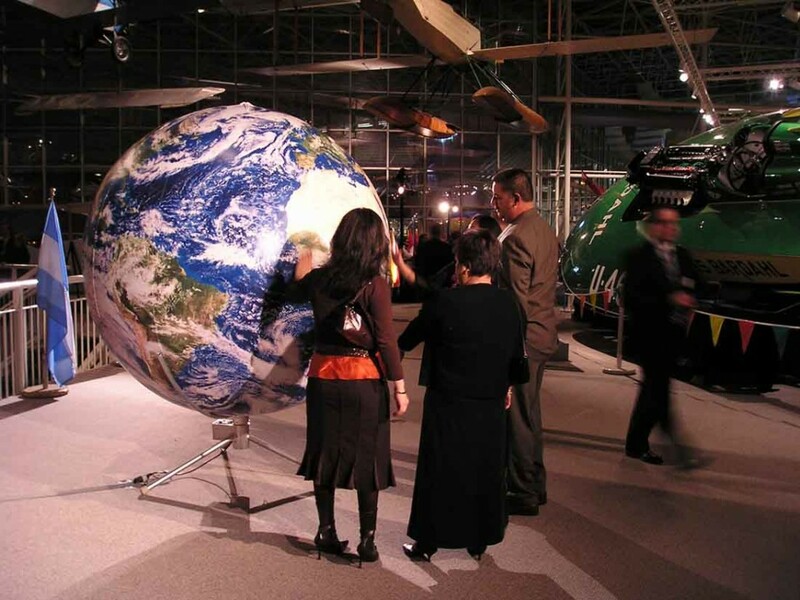 Orbis museum quality EarthBalls can be purchased or rented. 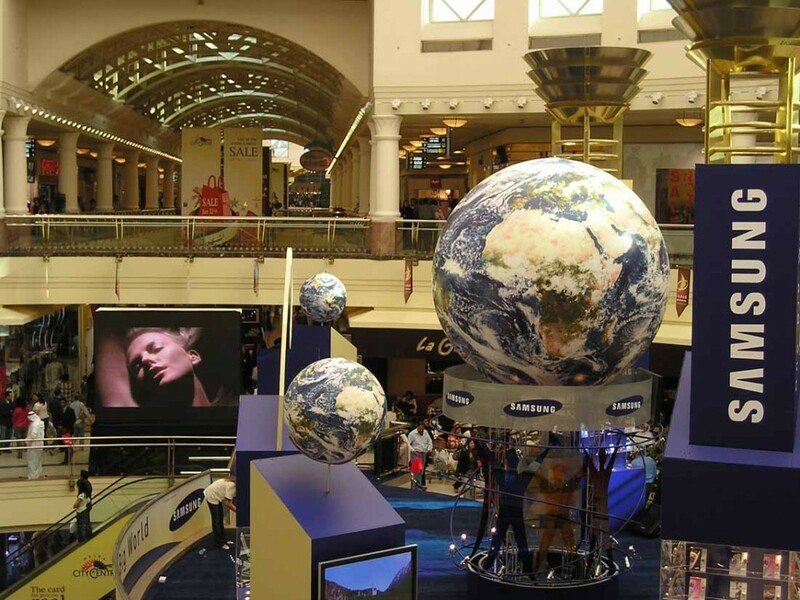 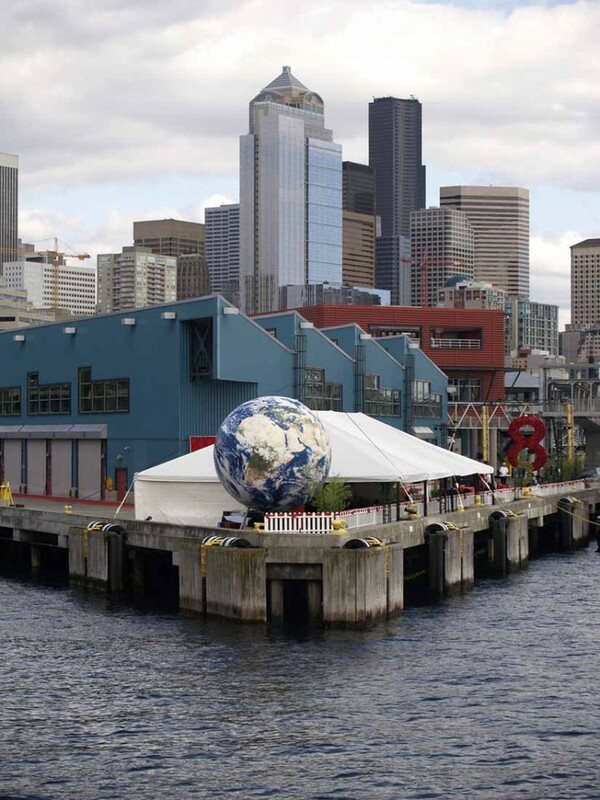 These giant globes can be installed as a permanent exhibition or used as a temporary, mobile display. 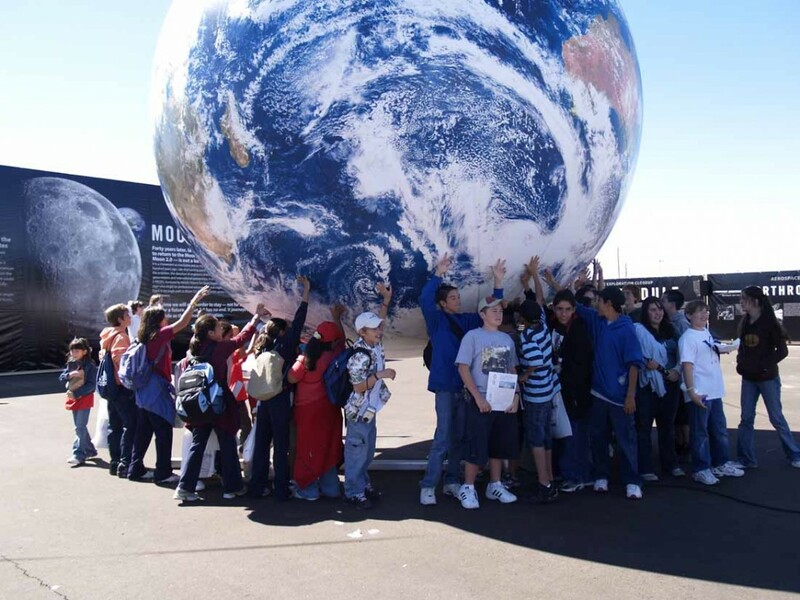 Our rental fleet features globes with NASA’s beautiful Blue Marble imagery, with clouds and without borders. 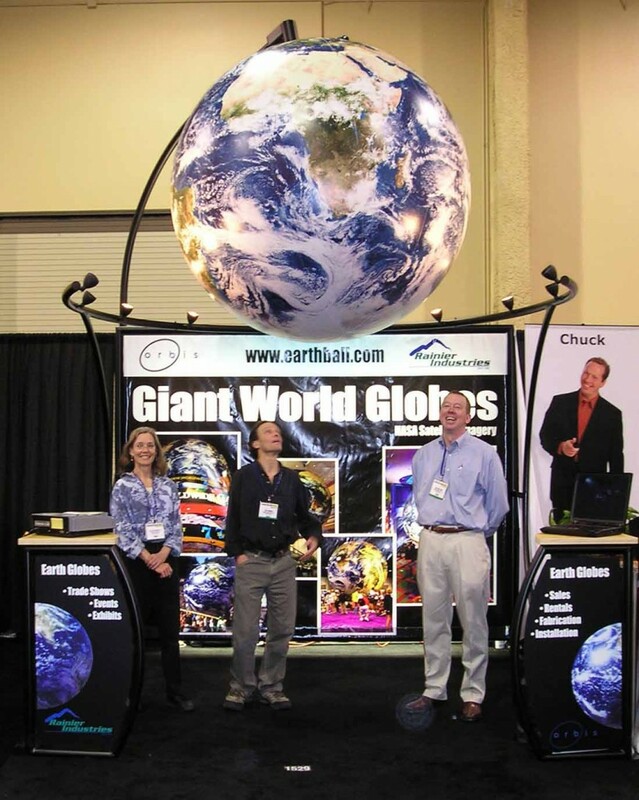 Your purchased globe may be customized to your specification. A custom globe can have a company logo, worldwide locations, route maps, whatever you can conceive. 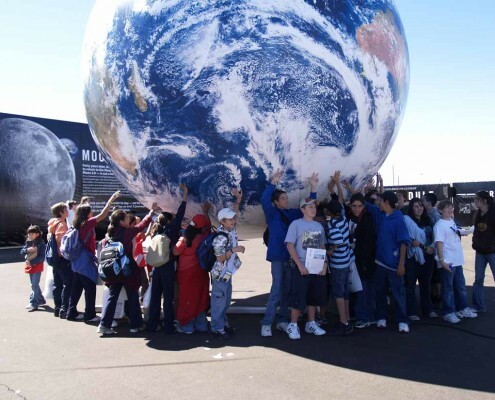 To learn more, fill out our Inquire Form. 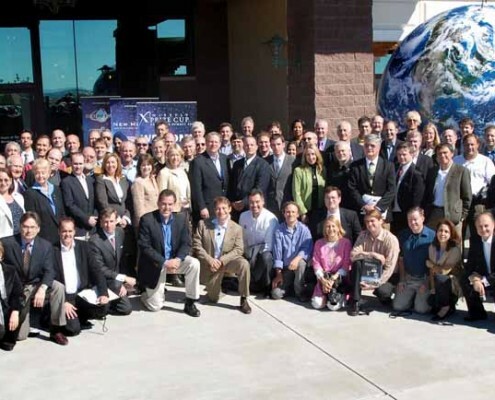 We’ll get back to you right away, usually within one business day.